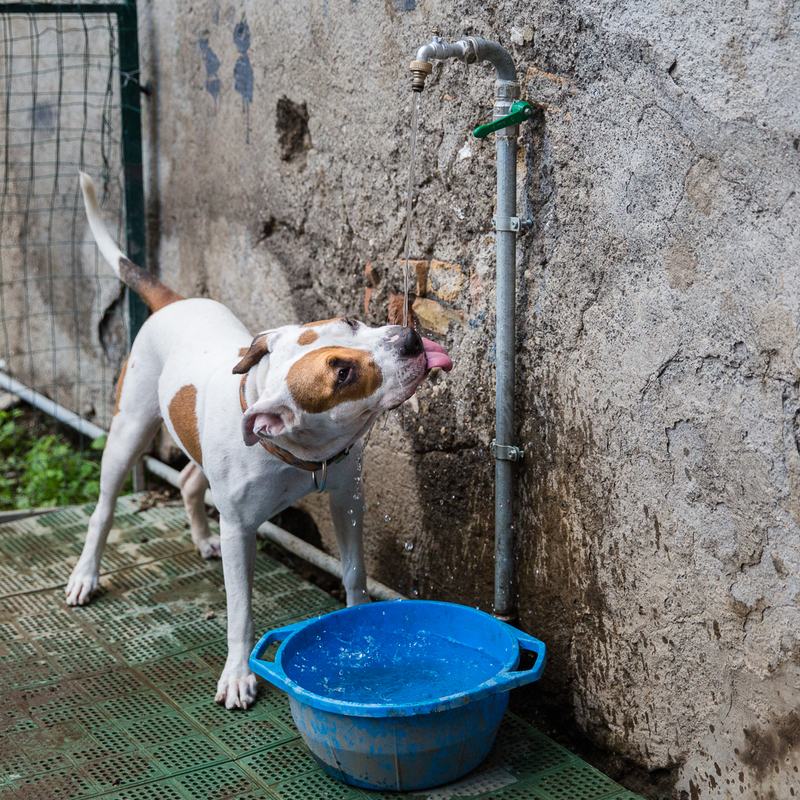 …after play, a drink for American Staff, Ivy. Those of you who read here regularly or follow me on social media know that my family and I have been going through some pretty stressful times recently. And while I am incredibly grateful for the small victories we’ve seen, the love and positive vibes we’ve received from others, and the pieces of good news that have come our way thus far, I would be lying if I told you the stress hasn’t taken its toll. I’ve been physically and mentally drained like never before, and my brain has been on overdrive thanks to worry and lack of sleep. As a result, I’ve had to stop and consciously figure out how to take care of myself along the way, and also to find new ways to enjoy simple moments in my days that I’ve set aside just for me. 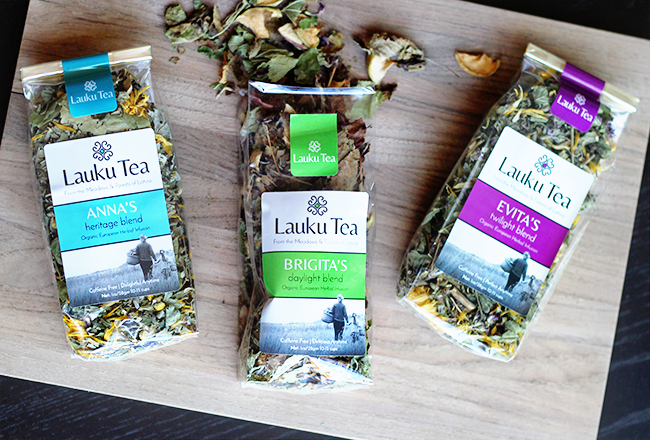 One of the biggest (and most effective) ways I’ve done this is through the act of drinking three very different but equally soothing cups of tea each day, all from a wonderful, inspiring little company called Lauku. The act of drinking tea as a means of self care is nothing new, of course, and it’s something I’ve personally done for a long time. But it really took finding a conscious tea brand with a “farm-to-cup” philosophy and a talent for creating the perfect teas for different moments of the day for me to genuinely feel completely satisfied by the experience. 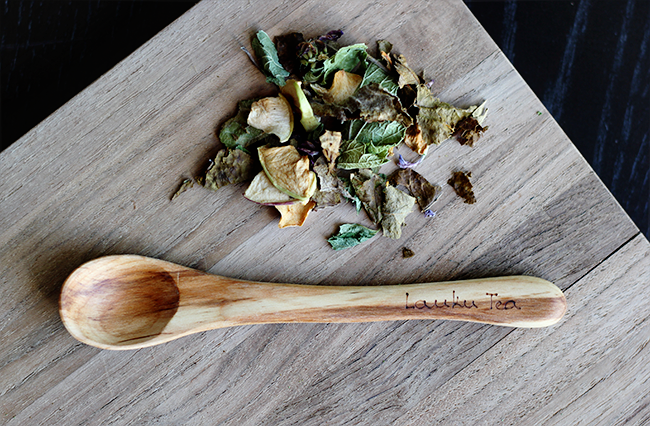 The flavor is one of the main reasons Lauku Tea is my personal favorite, but there are a lots of other aspects of the company that make me feel good about them being such an integral part of my current daily routine. First, you can’t find their teas on grocery store shelves or even in specialty tea houses. This is because the tea travels directly from the Ozolini farm in Lativa to me (or to you!). And on this farm, the Lukina family plants, grows, harvests, picks, dries and hand-packages all the tea themselves. (Did I mention that women rule the farm? I am totally down with that!) I also love that their teas are all natural, certified organic, and 100% sustainably grown – and without a doubt the freshest teas I’ve ever tasted. 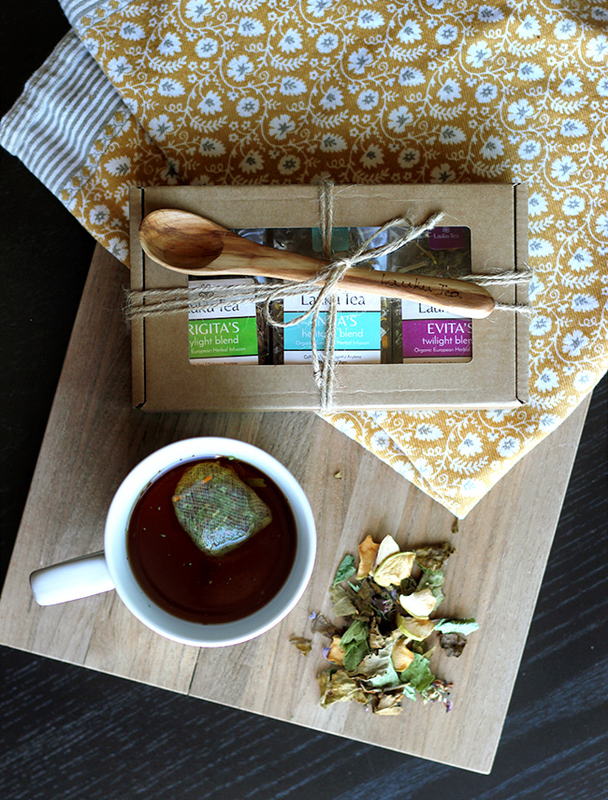 I genuinely feel soothed, restored, and fueled for my day with the help of these delicious teas – which has been really important to my headspace and body during a challenging time. Oh, and the teas are absolutely gorgeous to look at too. I feel like I’m pouring dried flowers into my cup every time. 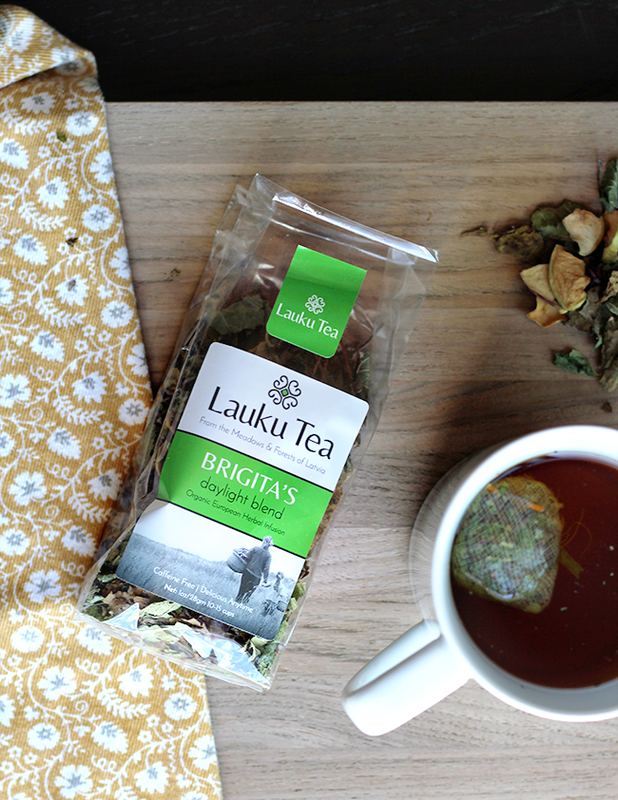 Each morning, I start out with a cup of Brigita’s Daylight Blend. The blend of dried apple and meadow clover flowers is sunny and rejuvenating and an overall great way to wake up. Sometimes I add a splash of almond milk and some honey, but I usually just drink it plain. I really like starting my day feeling like I’m doing something to take care of my mental well being, even if just through a cup of organic tea. 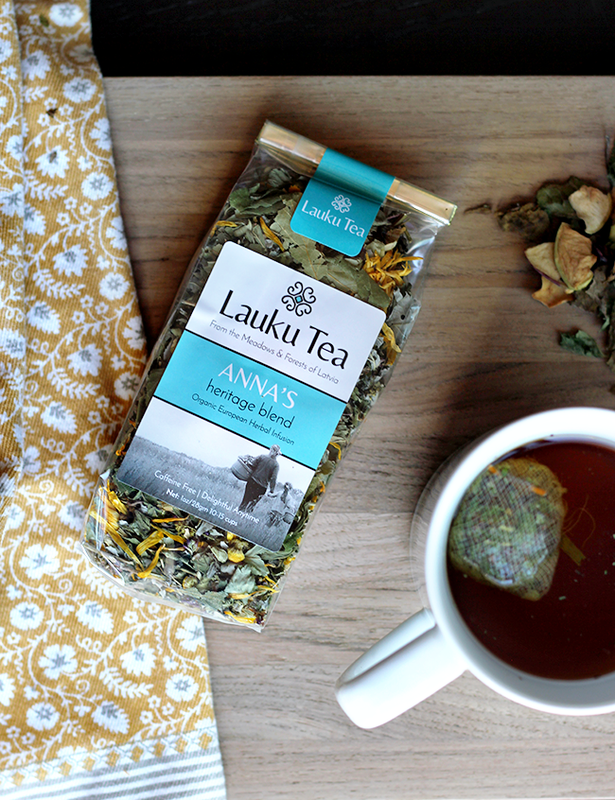 In the afternoon, I make myself a cup of Anna’s Heritage Blend. 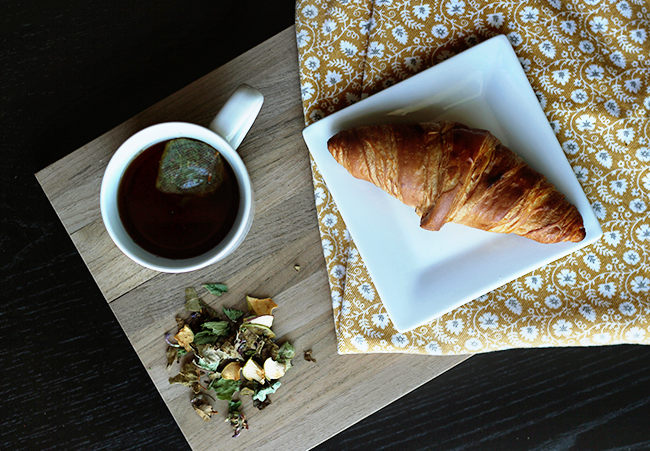 Crafted with forest raspberry, wild strawberry, chamomile and mint, it makes for the perfect mid-day break. The chamomile calms my mind and the mint and berries provide a subtly uplifting burst to help me feel motivated to continue with my daily tasks. I always drink this plain. 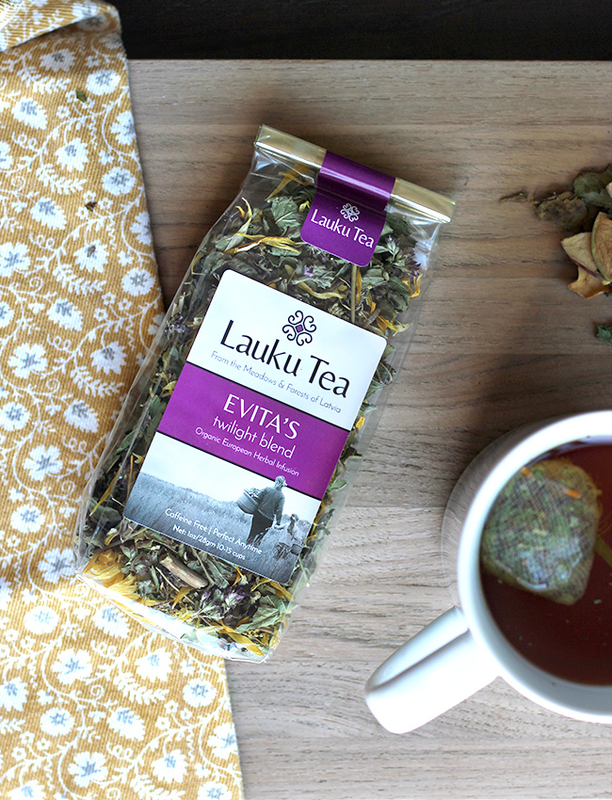 I end each day with Evita’s Twilight Blend, which I’d best describe as serene, soft, and soothing. With meadowsweet, calendula, catnip and lemon balm (also called Melissa and the herb after which my mom named me, by the way), it’s the perfect blend for winding down. I usually drink this with a splash of organic milk and some honey. (It’s hard to pick a favorite, but if I had to, this one would likely be my choice). 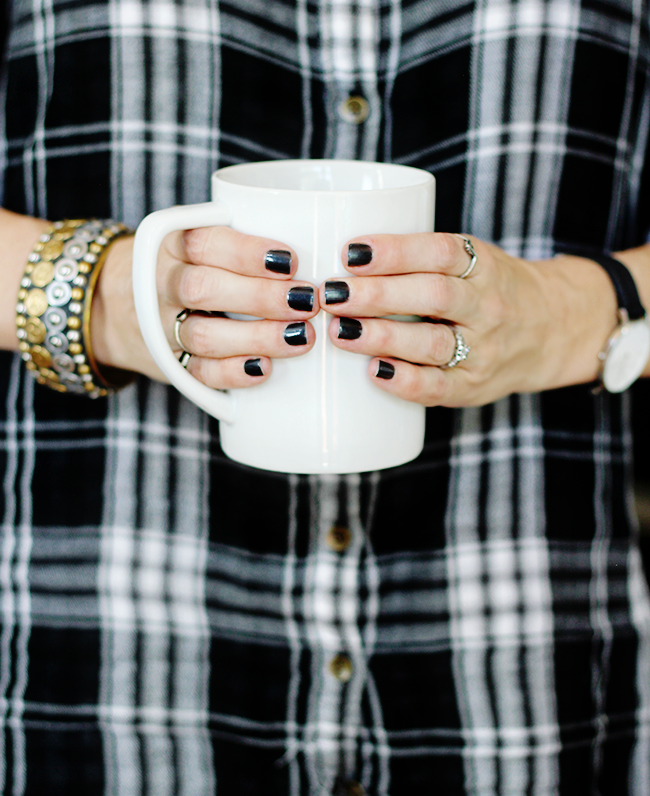 Reevaluating things and reminding myself of the importance of being intentional with self care – even through something as simple as three cups of tea a day – has been incredibly helpful in getting on a path to feeling more like myself again. 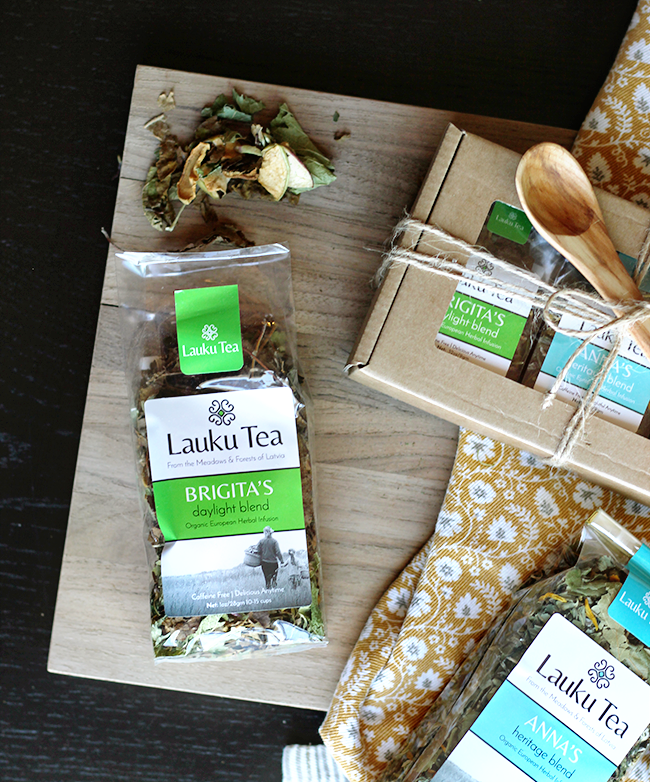 Whether you’re in the best place you’ve ever been in your life or you’re in some need of some serious self care like I have been, I highly recommend trying out Lauku Tea’s delicious, handcrafted blends. I’m hooked, in the best of ways. And I can’t wait to give Lauku as holiday gifts in a couple of months. Speaking of giving, I also get to give the gift of Lauku Tea to one of you! One lucky Bubby and Bean reader is going to get a beautiful Latvian Sun Sampler package, as well as one 2 ounce package of each of the three blends: Brigita’s Daylight Blend, Anna’s Heritage Blend, and Evita’s Twilight Blend. The value of these goodies is $ 60, but the pleasure they’ll bring you is priceless. Trust me on this. 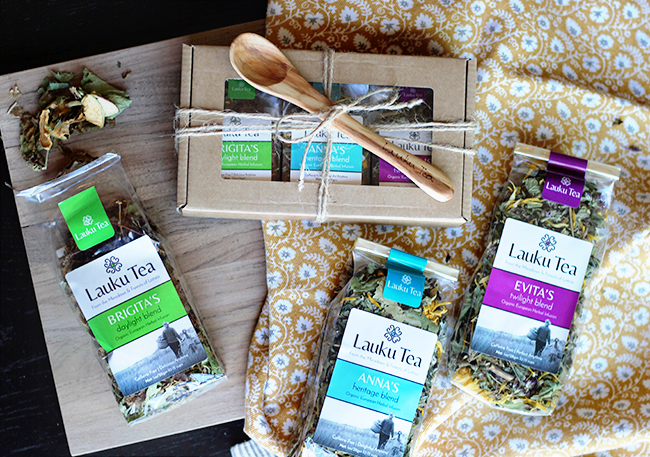 Thank you to our friends at Lauku Tea for giving us such a fantastic package to give away, and for making such delicious, consciously crafted teas. I can’t wait to hear what you guys think once you try them for yourselves!